Let’s put it all on the table, shall we? Loeb’s very successful but ridiculous and terrible Red Hulk series set off a very difficult time in Hulk history. 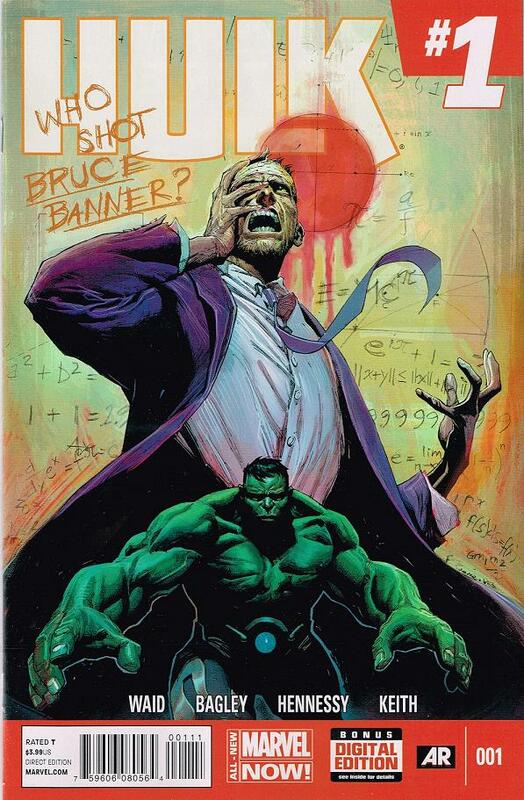 The over-hyped series did more damage than any kind of good to the Hulk mythos and it has been a rough voyage since. The only shining beacon in the rough seas of Hulk issues was the brief stint when Pak returned the monster to us. 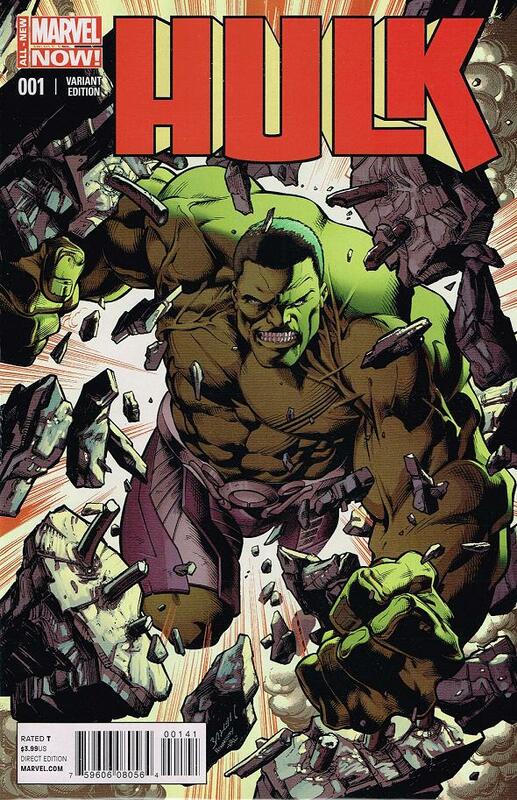 Even then, though, the issues were plagued with continuity issues – matching with the unreliable Red Hulk story lines – and focused on cementing Pak’s legacy in the Hulk lore rather than serving up fresh new plots for our emerald friend. 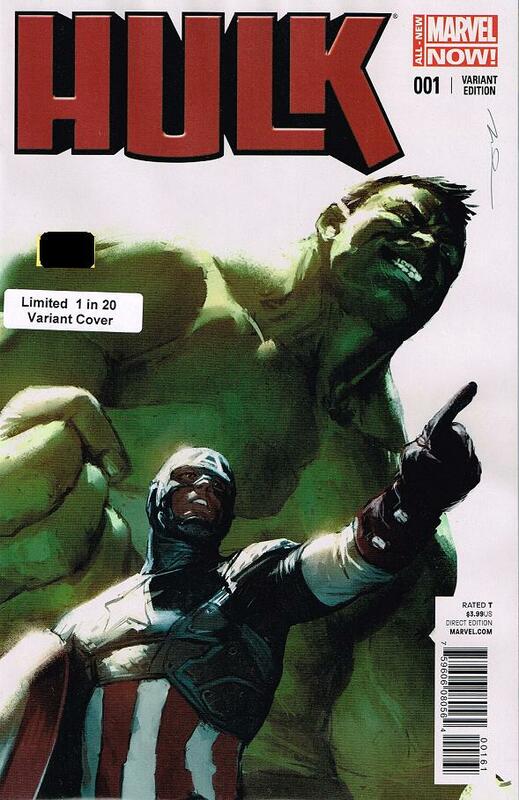 Then, we were delivered one of the darkest hours our Hulk history with the Aaron Hulk series. 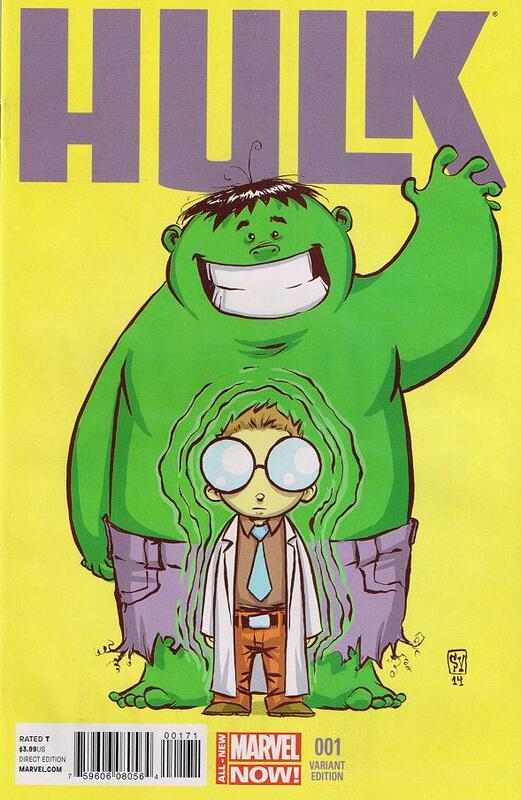 Aaron’s take on the Hulk made Loeb’s whole run look like classic literature. His insulting and laughable “Crazy Banner” was so moronically juvenile it was a wonder if he was letting a elementary school child ghost write for him. He did himself no favors when he had Doom doing brain surgery with, what else? A chainsaw, of course. 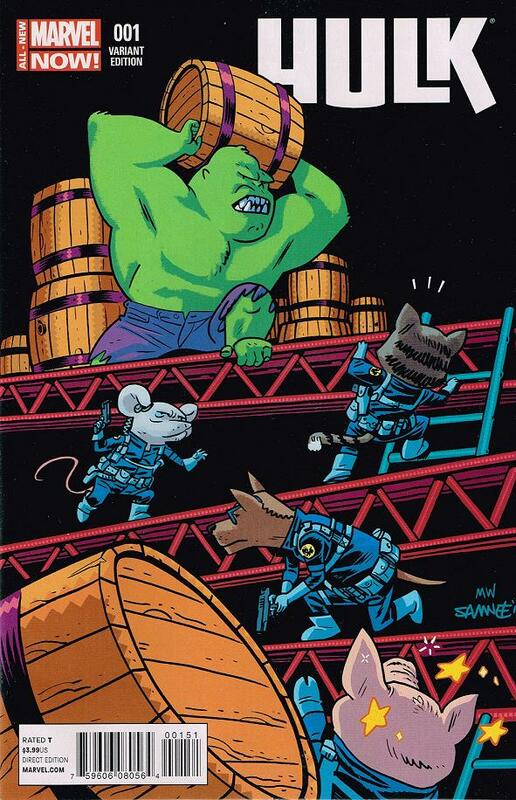 Each arc got more and more ridiculous as a drug dealing canine/man gave Hulk the chance to do a “Crank” rip-off and ended with a sub-conscious fight with an intruder inside Banner’s brain. Yes, this was the darkest hour indeed – I’d love to talk to Aaron someday and ask him just what he was thinking. 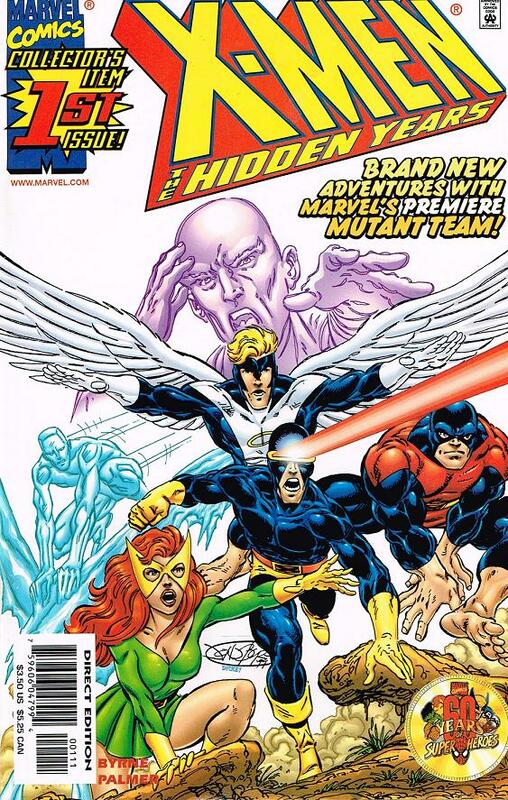 With that series over we were given an genuinely welcoming life line when it was announced that they were going to re-launch the title once again but with Waid at the helm. Things started off really well and continued strong through the return of Attuma, a time traveling Thor adventure and even a few classic Hulk foes sprinkled into the fray. But, with every fun idea presented there were plenty of questionable ones still lingering – that, and a revolving door of artists – were weighing heavy on the readers. 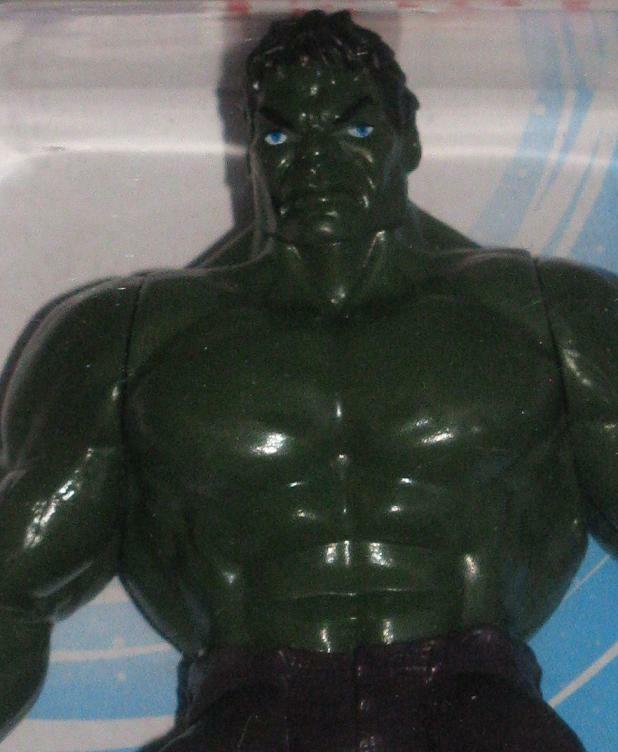 Why is Hulk wearing that armor? Which Hulk are we seeing? 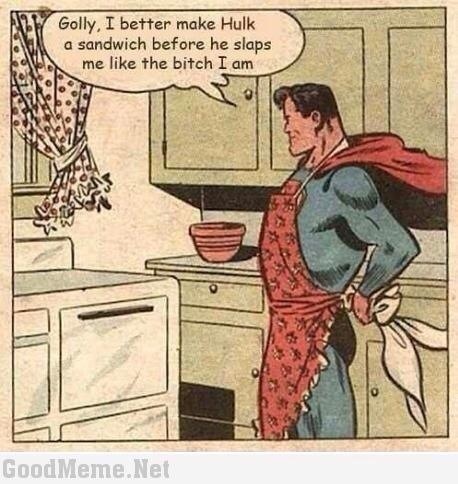 Why isn’t the Hulk talking? Sadly, none of these questions were answered and Hulk fans were getting restless. 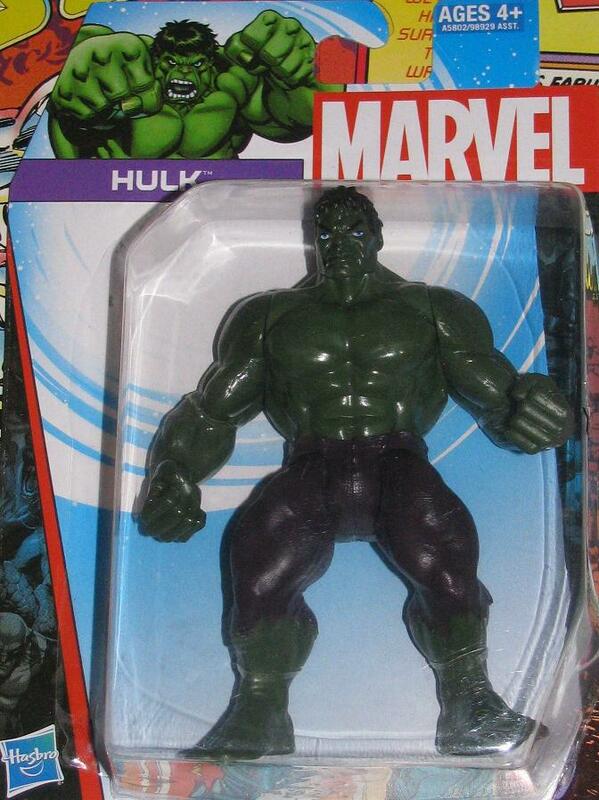 Waid has recently tweeted that Hulk fans seem to be the hardest to please – is this true? I know we are a dedicated bunch – but I think what we’re looking for is a writer who seems to understand the character that we have all grown to love so much. Someone who dips into his history to serve us new and interesting adventures with an evolving Hulk – or at least a reason on WHY he seems to have regressed to a child-like mute monster. Heck, that was the biggest misgiving I had with Loeb’s writing – he didn’t have things happen for any rhyme or reason – just to boost sales or have a tag line for the next inept issue. Waid hasn’t been that type of writer though – he’s never been a joke – he writes the slow burn that you wait for the big payoff… and I’d still been willing to wait, except that Marvel has decided to renumber the series once again. 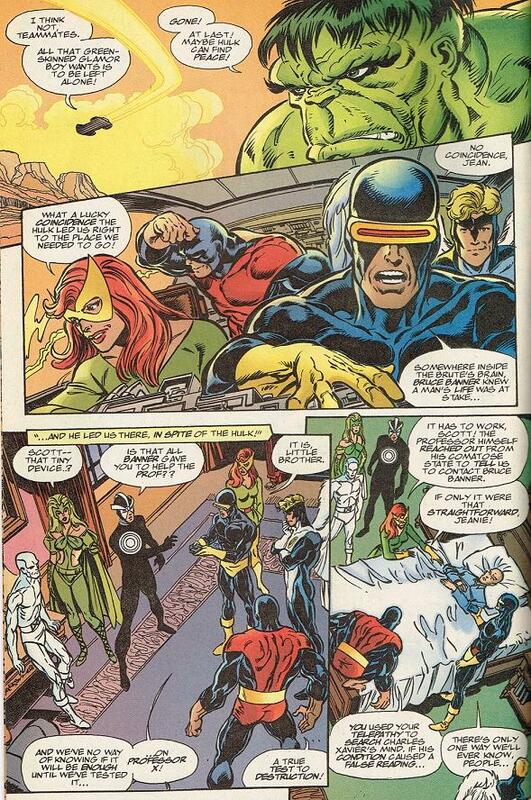 This time the renumbering makes very little sense – because, other than the new artist on board – the ever consistent Mark Bagley – nothing else has really changed – including the storyline that has Banner being shot in the head. Ignoring the infuriating and unnecessary new numbering system, the first issue is off to a great start. I’ve been excited before though – only to be let down by the second or third issue – so I will hold off on any recommendations to the loyal Hulk base out there until further installments – but for those of you looking for a letter grade summary of my thoughts – the issue is a solid A. I even love the slight twist in the end – and not to give anything away – but mainly I love it because there was a great set-up with a fantastic pay-off. If you’re reading it – let me know your thoughts – if you’re waiting… I don’t blame you. P.S. – There is also the blank cover – which I have but don’t haven any sketches yet so I didn’t bother posting the pic of a blank cover. 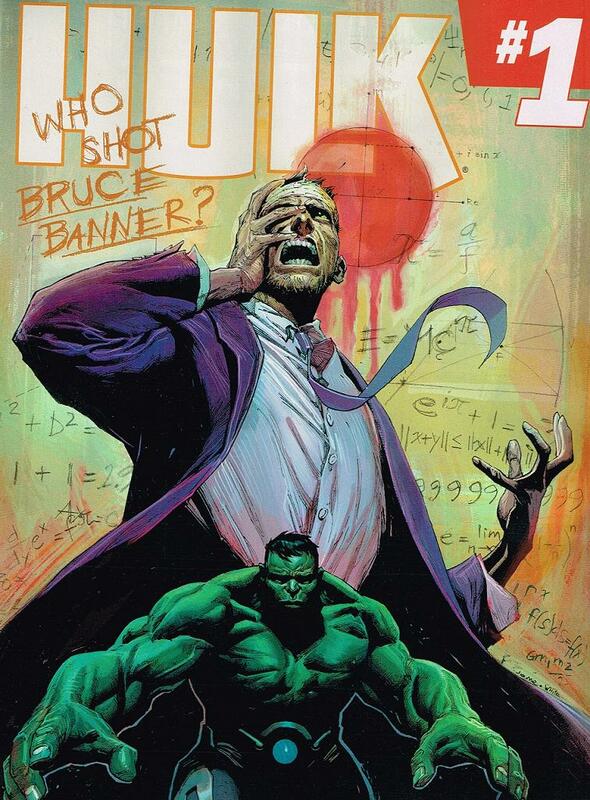 Also, for anyone not aware there are going to be TWO different exclusive Comic-Con Hulk #1 covers (A Canadian Fan Expo Cover and a Wizard World Minneapolis Cover ) both of which I may have to head to eBay for – unless a generous reader here is heading to one of these cons and wants to pick up a spare for me? Hint, hint! I am pretty sure that there are two groups of people coming up with merchandise – one group is a bunch of people interested in making a ton of money and want to use commercialized characters on any piece of crap to do so. The other group is a bunch of people who have generally good, unique ideas on how to use licensed characters in an exciting and fun way! Okay – this is a fallacy, I know, but it’s still more comforting to think that these products aren’t generated by the same people. 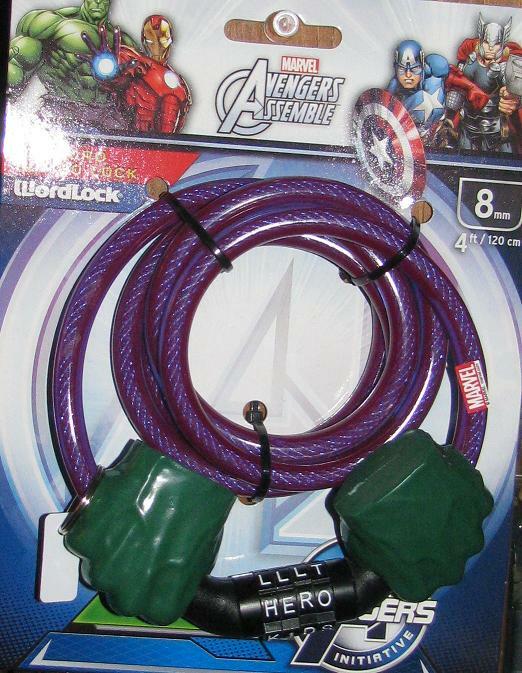 I really thought that this bike lock showed a small amount of brilliance. Also, the fact that it is password protected rather than just a number lock is a whole different level of cool!